Most of us are pretty good at acting on the fly: swerving to avoid an obstacle in the road, ducking to keep from being hit, or reflexively catching a fly ball. 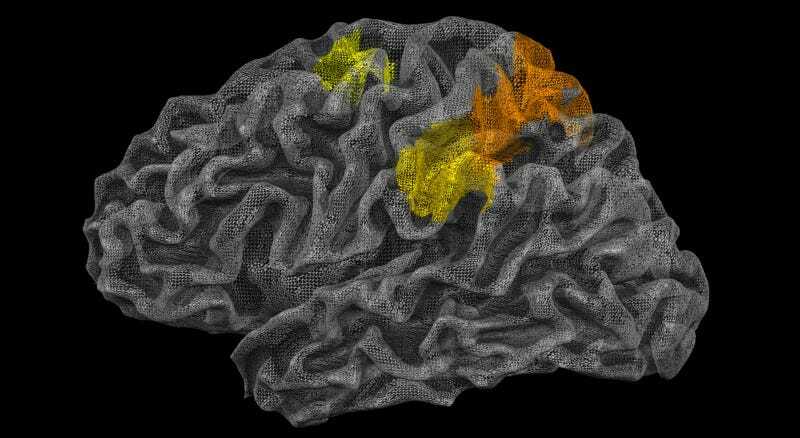 We can do this because the brain is constantly running simulations of the physics involved as we scan our environment, according to a new series of brain imaging studies. All that processing is done by a handful of regions involved in planning actions, which kick into gear whenever we watch physical events unfold around us. The team responsible for the new studies has dubbed it the brain’s “physics engine,” and suggest it could help design more nimble robots. They described their work in a new paper in the Proceedings of the National Academy of Sciences. The metaphor is drawn from the world of video games—software designed to simulate actions in the game space, whether it be car crashes, moving targets, maneuvering through obstacles, and so forth. This kind of software typically takes shortcuts rather than crunching the numbers on every last possible variable. And it seems the brain does something similar. Let’s get one caveat out of the way. It’s a bit misleading to talk about anything in terms of “This is where X happens” in the brain. We’re not talking about a single brain region here. “I see physical scene understanding as a highly integrative process that sources information from many brain areas working in concert,” said Fischer. Neuroscientists view the brain as a complex network of networks. Sure, certain areas are associated with specific functions: Broca’s area and Wernicke’s area are famously associated with language and speech, for instance. But these and other regions must work together to process all that information. In fact, all of the brain is involved in every task—it’s just that some areas are more involved than others. The same is true for the physics engine. “Physical scene understanding requires bringing together a broad array of information from across the brain,” said Fischer. That includes information about the shape of objects, their material properties, where they are located in three-dimensional space, the timing of observed events, and knowing the effects of other variables like gravity of wind. So the physics engine is a kind of sub-network of brain regions working together to help us intuitively navigate the physical world. A rotated view of the brain’s physics engine. Needless to say, with so much overlap, it’s really tricky to isolate exactly how specific regions work together. So Fischer and his colleagues designed four different experiments involving functional magnetic resonance imaging (fMRI), each building on the last, to filter out any confounding elements. For the first experiment, they asked subjects to watch videos of Jenga-like colored blocks stacked into towers (see video above), and predict where the blocks would land, or whether there were more yellow or blue blocks. The latter is a purely visual task, whereas the former would involve intuiting something about the physics involved. This helped the JHU team identity several “regions of interest,” that seemed to be involved in the predictive task. But they weren’t sure which of those regions were specific to physical intuition, as opposed to predictive and spatial reasoning generally. So a second experiment required subjects to watch movies of two interacting dots, programmed to behave either like billiard balls (requiring physics), or like two people interacting (social reasoning). After eight seconds, one of the dots would disappear, then reappear two seconds later. The subjects had to predict where it would reappear. That task narrowed the field down to just five regions of interest. So the third experiment required subjects to watch short movies that had different degrees of physics-centric content, like a rolling ball. The fMRI showed that those five regions responded more strongly, the more physics content there was in the movies, even if the subjects weren’t consciously aware of doing so. Finally, the subjects involved in the first two experiments were asked to perform tasks of varying difficulty that did not require physics intuition. This was designed to determine whether the physics engine was its own thing, or just part of something called the multiple demand network, which helps us process difficult tasks.